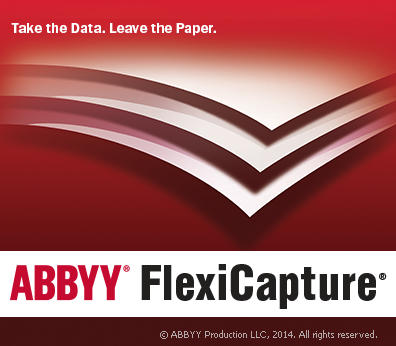 ABBYY FlexiCapture is the next generation of data capture and document processing software. Intelligent, accurate and highly scalable, it can save your organization time and money by providing a single entry point to transform streams of forms and documents into business-ready data automatically. No matter what volume of paperwork you need to handle, FlexiCapture’s automatic document classification and data capture features help you significantly increase efficiency by automating paper-based business processes. Single entry point for paper and image documents. Centralize and distribute the document capture function, automatically classify documents based on structure and content and get intelligent data extraction from documents of any complexity. Reduced costs. Reduce spending on employees doing manual data entry and reduce shipping and handling expenses by digitizing paper at the point of origin. Improved efficiency. Re-purpose personnel to focus on essential business tasks instead of document processing; streamline processes to achieve better revenue and reduce time spent on document search and retrieval. Higher value to customers. Shorten response times by removing hurdles from document processing, focus key personnel on providing service to clients and stay ahead of competitors in pricing and quality of service with more efficient business processes. Let IMS show you how ABBYY FlexiCapture can streamline your forms processing and data extraction activities quickly and efficiently.